Plug-in hybrid electric vehicles… we have been down this electric road many times before. I have found it so hard to cover my 32km daily commute to Dublin city centre and back home on a full charge – until now that is. I’ve driven the BMW X5 xDrive 40e, BMW 330e, Volvo XC90 T8 Twin engine and a list of hybrids as long as your arm, yet not one of them has managed to complete my round trip on a full charge. 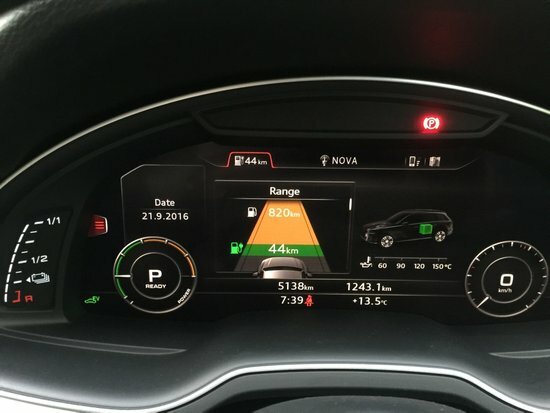 However, last week I got behind the wheel of Audi’s flagship Q7 SUV plug-in hybrid and it made the trip in and back with 4km to spare. The Q7 e-tron, as it’s called, comes with a 3.0-litre V6 (368bhp) diesel engine matted to a 94kW electric motor and the company’s quality Quattro all-wheel drive. 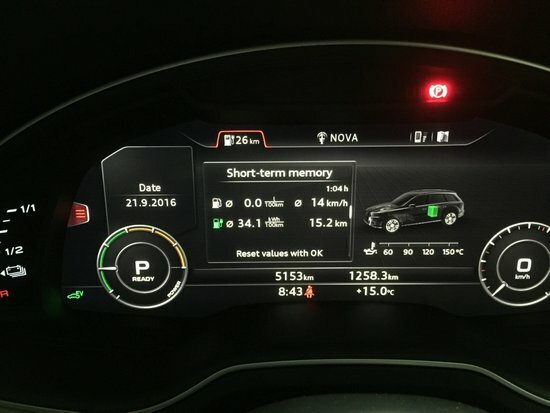 Audi claim that with a full charge the electric battery will give you a 56km range. However, after charging it at home from my wall box for more than 12 hours, I was surprised to see that it had only registered 44km. 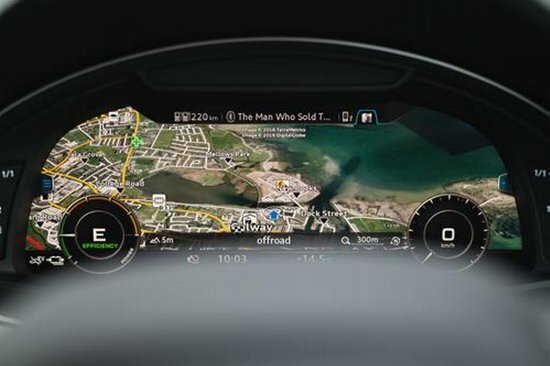 Setting off on my daily commute with just the automatic headlights and radio on – I didn’t need little comforts like heated seats or heating – I arrived in to the city centre having travelled 15.2km and found I had 26km left on the electric range to get me home that evening. Now, apart from full-electric models like the Nissan Leaf and BMW i3, which have a far greater electric range, I have never managed to do this round trip in a plug-in electric vehicle before without dipping in to the petrol/diesel engine. And, with the weather elements against me on a slightly longer trip home and, with wipers on full speed at times in the torrential downpours, I didn’t think the Q7 would make it either. But it did. And I did it without using a single drop of fuel. What amazed me most is that alongside the BMW X5 xDrive 40e (which uses a 2.0-litre petrol engine), this is one of the heaviest hybrids I have driven. So, although the Audi Q7 e-tron is way out of my price league, it would make sense for someone like me doing that commute every weekday to work with using any juice. However, as I have mentioned before, there is no point in buying a plug-in electric hybrid car if you don’t bother your backside to charge it up at night and make the most of what’s on offer. The last time I did the math, I worked it out that it would cost around €2.30 each night to fully charge an electric vehicle. That’s just €11.50 a week to run me into town and back over a five-day period. 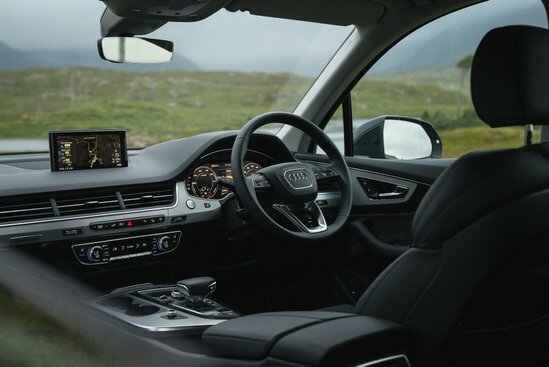 However, prices for the Q7 e-tron start at €84,475, which is just north of €10k over a standard 3.0-litre diesel, and this includes a total of €7,500 in Vehicle Registration Tax rebate and SEAI grant. But, with road tax at just €170 a year and Audi claiming that you can get a combined fuel figure of 1.9l/100k (we all know we can never reach these figures in normal, everyday conditions), it does make a lot of sense for customers doing a similar amount of kilometres to me. Overall the Audi Q7 e-tron was a winner for me. It was the first plug-in electric hybrid that got me in to town and back in pure electric mode alone. I have in the past stated that you’d be better off just sticking with a normal diesel, but if the figures add up this might just be the model to set the standard for plug-in hybrids. Road Tax: €170 per year. Boot Space: 650 litres (smaller than conventional Q7 and only comes with five seats instead of standard seven).